Aja is sure to make you feel dreamy. 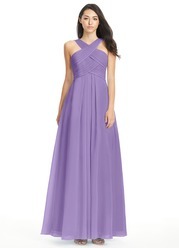 Soft pleats criss-cross the bodice, emphasizing the waist. It also features spaghetti straps and pleated off-the-shoulder neckline. The gathered A-line skirt compliments all body shapes. So cute and comfortable, a really charming style. I almost chose this one, but went with something a little more form fitting. 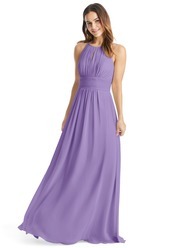 This is perfect for a southern belle bridesmaid. Beautiful dress! Good quality material and love the color. Adjustable straps are a plus. Custom sizing was perfect. The sleeves are way to small and don't fall properly on my arms. The breast support area doesn't really look like the picture. Love the dresses. I custom made 2 so far and they have fit perfectly! Very flattering dress. True to size. This dress was perfect! Beautiful on, and very elegant. 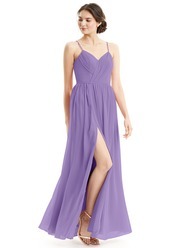 This is my MOH dress, love it! This dress is great! Overall I love it and I can't wait to wear it. I got custom measurements and everything was right, except it is a bit short. I'm not sure if this was a manufacturing issue or me misunderstanding the instructions. Thankfully I can just wear flats instead of heels at it'll be fine. Pretty awesome to get a dress that needs no tailoring for a hundred bucks. Ordered this sample for my daughter's bridesmaids. Had a hard time getting a sample, but the wait was worth it. Beautifully made dress, true to size. The girls have ordered it in Navy. Can't wait to see the dresses! The sample idea is awesome! 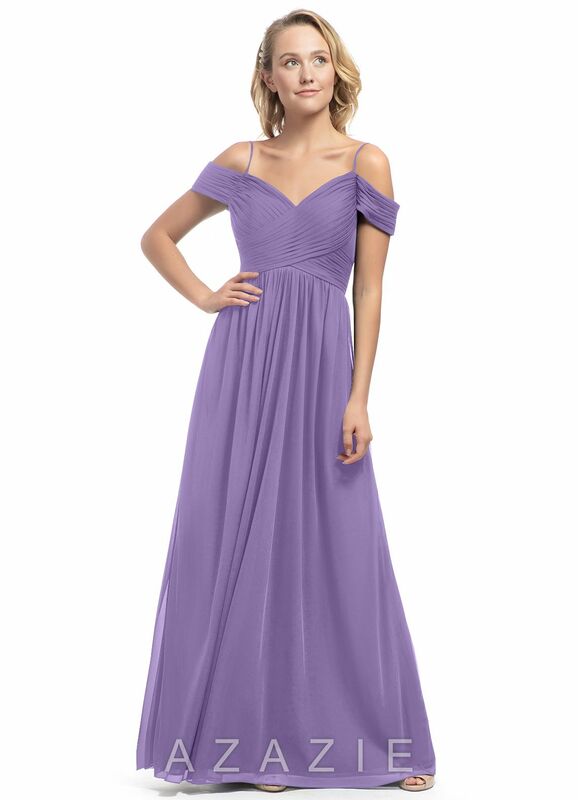 I knew my measurements (just got a simple measuring tape and had boyfriend do them) so I put those in the website when I ordered the dress, no extra cost. Color: dusty blue (so pretty). I asked for an additional 3 inches for two reasons: (1) I wasn't entirely sure of what my exact hollow to floor length was, and (2) having that extra length while I figured out my shoes was necessary. My dress goes great with a 2-3 inch heels, and it barely touches the floor. My measurements: Bust: 34.00 inch | Waist: 30.00 inch | Hips: 39.50 inch | Hollow To Floor: 55.50 inch | Height: 66.50 inch | Extra Length: 3.00 inch Azazie said it would take a couple months to make the dress when I ordered it and that didn't even factor in shipping time, but it came within a month, packaged well. This dress looks great when I am moving (walking, dancing, etc.). Makes for pretty photos if I am not standing straight/still, which brings me to my only complaint... It makes me look like a box if I am just standing straight and looking head-on at the camera. The more I look at the model in the photo I see she's always at an angle. This dress would be perfect if it could just be taken in a little extra more at the hips and flare out a little more, so it looks curvier. 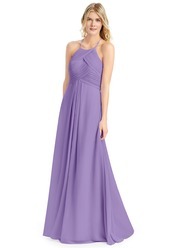 Other than that though, love this dress, the price was solid, and I look great dancing in it! Oh also, the back is so elegant, with a solid clasp in the back. I normally hate online orders, so this was a breath of fresh air. 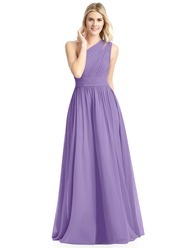 It is a pretty dress overall, but I am literally unable to move my arms in it. The thick strap that hangs literally prevents your arms from moving or reaching up high. If I can't move my arms fully, it's a no go, so this is being returned.